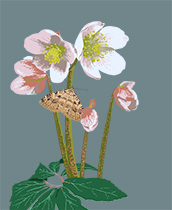 First, there is an unclarity between two types of plants: Helleborus odorus and Helleborus multifidus ssp. istriacus. These two appear to hybridise widely, so much even that you could argue that they are forms of a single species. 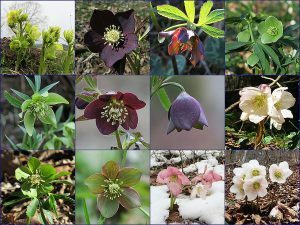 That would mean that there are just 3 hellebore species in Slovenia, one of which has two subspecies. To solve this, it would be necessary to look at the contact zone between ssp. istriacus and H. multifidus ssp. hercegovinus in eastern Croatia. I did not do this, so I can also not have an opinion about it. Second, these hellebores are very variable from one plant to the next, even within populations. Because of this, it is often not possible to identify a single plant on basis of external characters. This becomes easier with the help of the general appearance of many plants which grow close together. 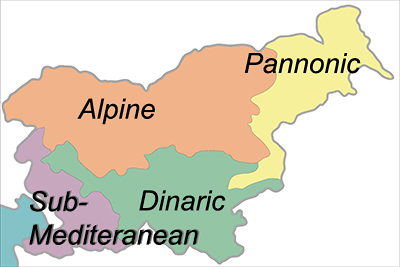 To be on the safe side, it also helps to have the biogeography of Slovenia in mind. The latter may be problematic. As soon as you start to identify a plant on basis of the supposed distribution, your outcome will always fit with the generally accepted biogeographical zones. This way, you might overlook the interesting exceptions! 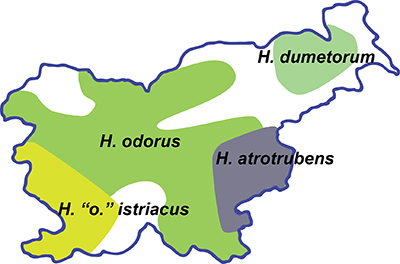 In the case of hellebores, I think that the biogeographical zones should be used in the opposite way. As soon as you think that you find a species well outside it’s “typical biogeographical zone”, you have to look twice as hard at its characters! Helleborus atrorubens seems the easiest to identify. This is the only Slovenian hellebore with dark flowers. However, the colour of its flowers varies greatly, both between localities and between individual plants. It is customary to call the greener plants intermediates or hybrids with the green flowered Helleborus odorus. At the same time, they could also represent variation within populations. Some of the darkest flowering H. atrorubens can be found in the most exposed locations, where they receive most direct sunlight. Could the dark colour be a genetic adaptation to block the sun? In conclusion: these plants are just like Darwin’s Barnacles, or like any other species complex in nature; endlessly interesting and never 100% clear. 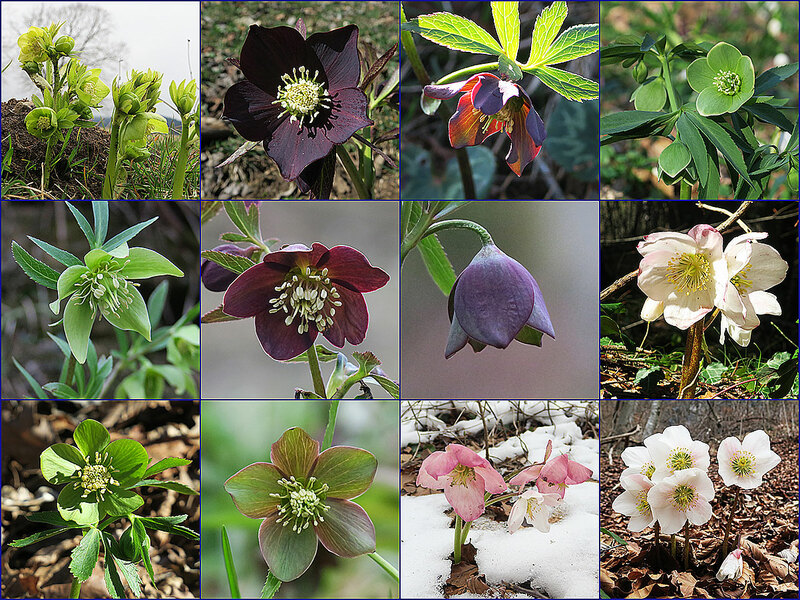 So let’s go out in a couple of weeks and try to identify those Slovenian hellebores!